The five day India International Jewelry Week 2012 concluded in Mumbai on 23rd August. The event was a glittering spectacle featuring India’s finest designers with showstoppers being modeled by the Bollywood glamour quotient that included the likes of Sonam Kapoor, Dia Mirza, Madhuri Dixit and Bipasha Basu to name a few. The dominant factor linking the stream of collections was explicitly over sized ethnic pieces. Antique, triple row necklaces studded with polki and colored gemstones replaced dainty diamond, perfectly coordinated pieces. This was one our favourite looks from the show, the opaque emerald and aged polki against the sequined bronzish gold fabric is quite simply stunning. We vote for emerald over ruby any day! She may not be much of an actor but we can definitely appreciate Sonam Kapoor as a style icon. If we could get our eyes off of her necklace and wrists for one second we’d love to compliment her Anamika Khanna lehnga. Gorgeous detailing on the skirt while the simple black keeps the attention focused on the jewels. More Anamika Khanna and even more polki! If you prefer your accessories unconventional here’s Malaika in a diamond, sapphire, and emerald extended choker. The sapphire and emeralds are cut into flower blossoms and contained in a diamond frame. We love the idea of the blue green floral shaped pendants. Vintage pearl and polki choker with a touch of ruby and tear drop earrings, a perfect heritage piece. We love the chunky cocktail rings sported by Sushmita and Nargis. After all the bling this delicate diamond necklace seems to pale in comparison but we love the painted gold patterns on the sari blouse! 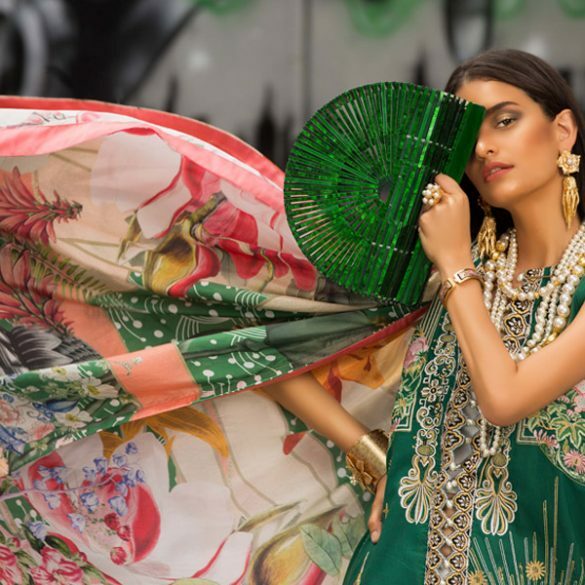 Its time for Pakistani Jewelry Designers to team up and initiate a fashion week dedicated exclusively to jewelry. Aside from the inspiring works of Kiran Aman showcased at Loreal Bridal Fashion Week not a lot of designers have stepped up so far, although there are many aspiring ones out there we’re sure. We hope the opportunity surfaces sooner rather than later!